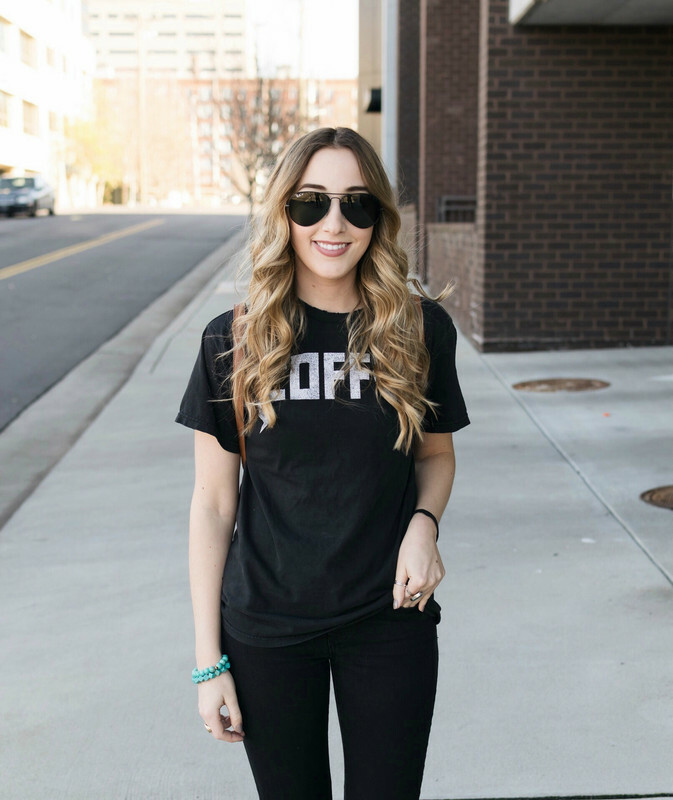 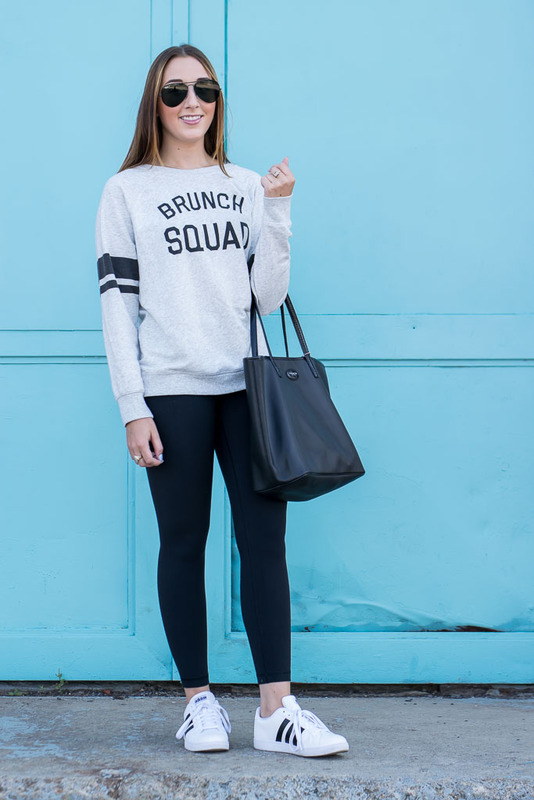 Just wanted to quickly share this super cute & comfy outfit that's perfect for Sunday's! 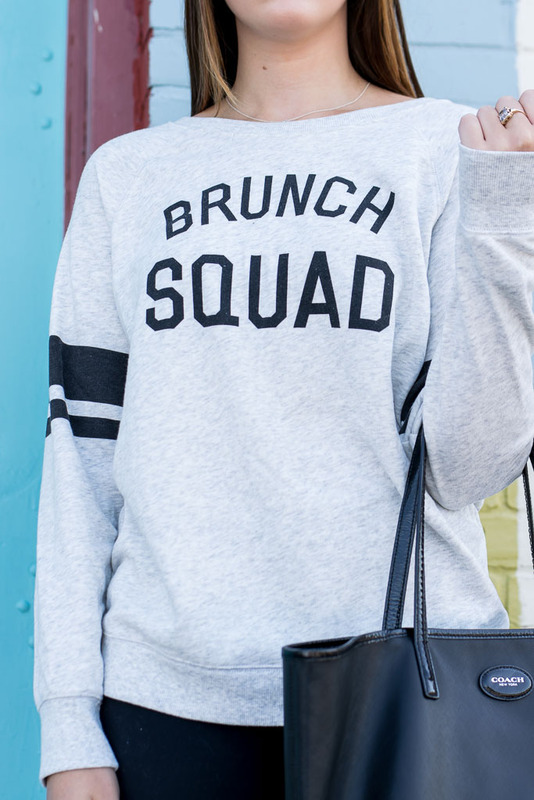 This sweatshirt is soo soft and perfect to throw on for errands or brunch, I love the line details on the arms. 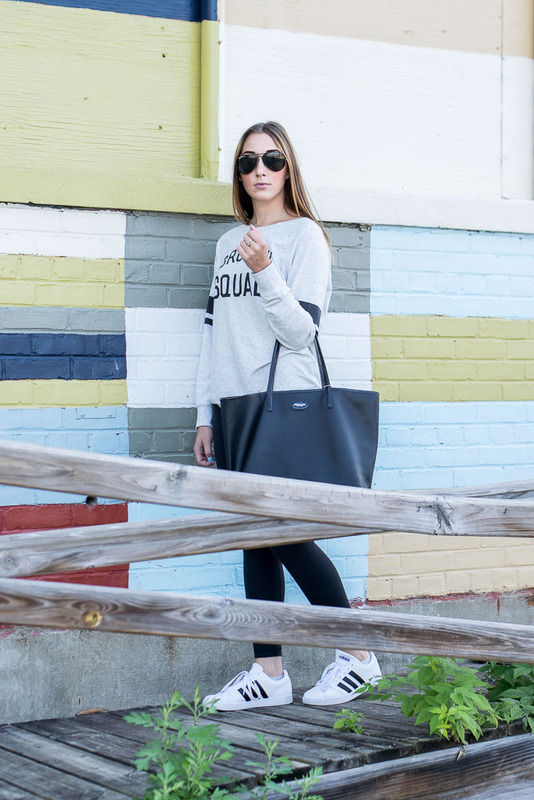 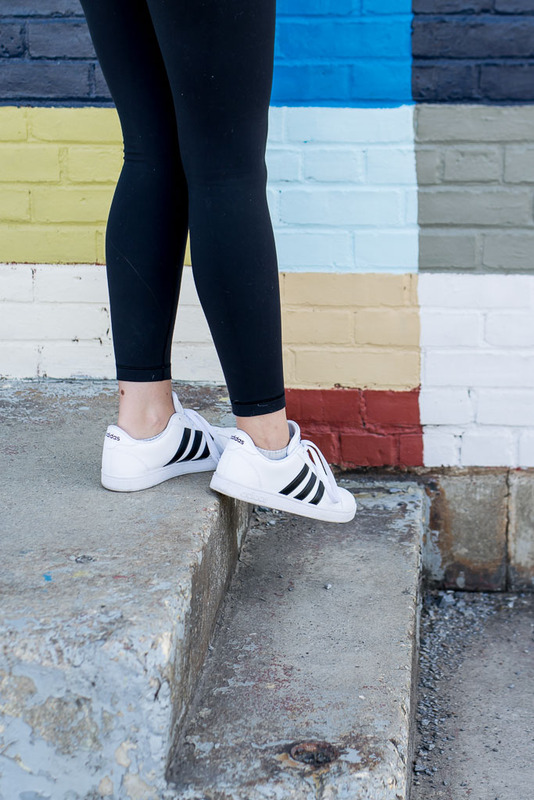 I like pairing basic sweatshirts with my white adidas sneakers, I think it really pulls the whole look together!